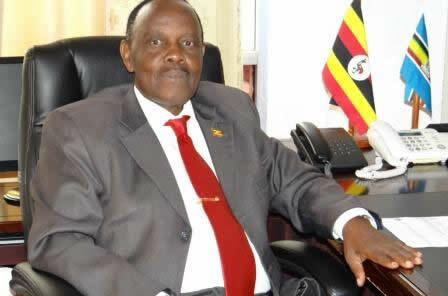 KAMPALA – The Ugandan Ambassador to Burundi Rt. Maj. Gen Matayo Kyaligonza is needed by the Mukono Chief Magistrate’s Court on Wednesday, April 10 to answer alleged charges of assaulting and causing bodily harm to a female traffic officer Sgt Esther Namaganda. Court has issued the criminal summons against Mr. Kyaligonza alongside his two UPDF bodyguards Cpl Peter Busindiche and Pt John Okurut who have been separately charged with obstructing a police officer from executing her duties and common assault. The three are facing four counts which the DPP sanctioned after being satisfied that the evidence gathered by police can sustain assault charges against them. Resident State Attorney Jonathan Muwaganya made an application to chief magistrate Juliet Hatanga to have the three accused summoned in regard to an incident that occurred on February 24, 2019, at Seeta Trading Centre in Mukono District. The summons have also been served on to the ministry of Defence headquarters to ensure that the three accused are served. According to the charge sheet, prosecution states that Mr. Kyaligonza, 73, assaulted Sgt. Namaganda thereby causing actual bodily harm. It is further stated that Cpl. Busindiche 30, and Pt. Okurut 27, unlawfully handled Sgt Namaganda thereby performing a common assault. On the fateful day, social media outlets were awash with a video showing Mr. Kyaligonza and his two guards allegedly slapping Sgt. Namaganda whom they accused of stopping their vehicle after the driver made a U-turn in the middle of the road. However, on Tuesday, April 2, Mr. Kyaligonza, in a press conference, challenged Sgt. Namaganda to bring proof that he assaulted her else he vowed to drag any person to court who accuses him of assaulting the traffic officer. Recently a journalist working with a local TV station Mr. Deogratius Otai sued Mr. Kyaligonza before the High court seeking payment of UGX360m over assault and mistreatment that the Ambassador and his guards subjected him to during the same incident.